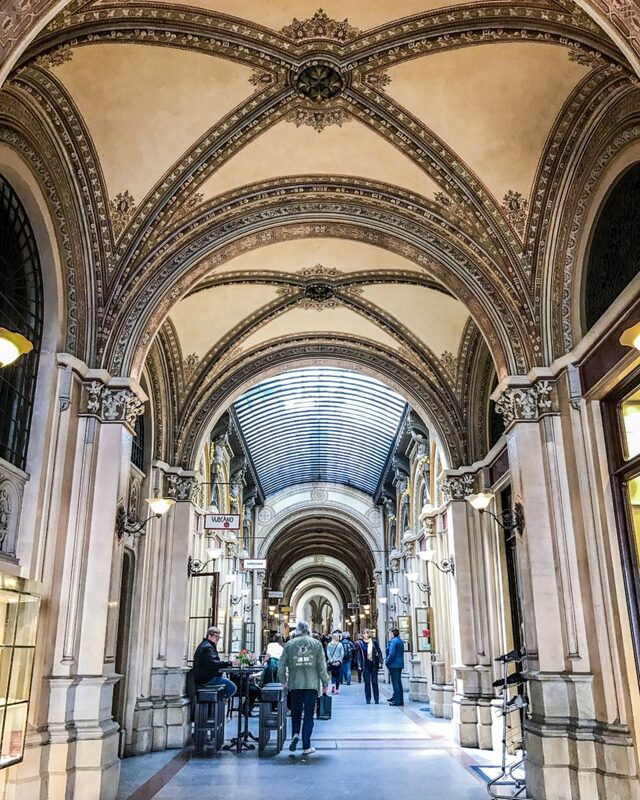 Vienna is one of my favourite places in the world – My husband grew up in the city and when we started dating (back in 2001, OMG!) he was still living there. 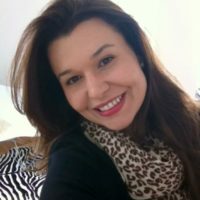 Therefore, I would visit from Brazil at least twice a year and we ended up living there for a while, which was an amazing experience. 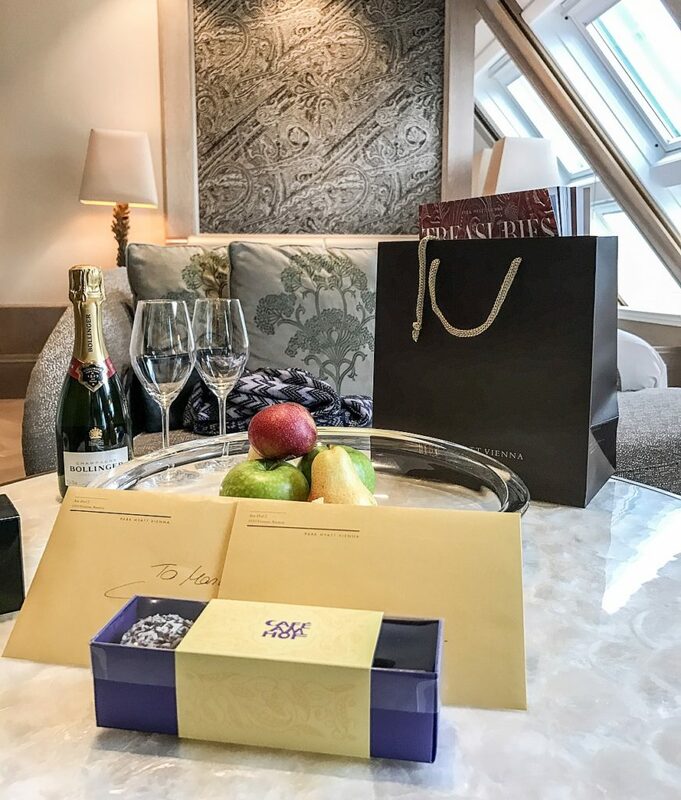 Since my better half no longer has his own apartment in the city, I have tested many hotels until I stayed at Park Hyatt for the first time in 2016. And it was love at first sight. There are many features about Park Hyatt which make me returning. One of them, a very important aspect when I travel, is LOCATION! 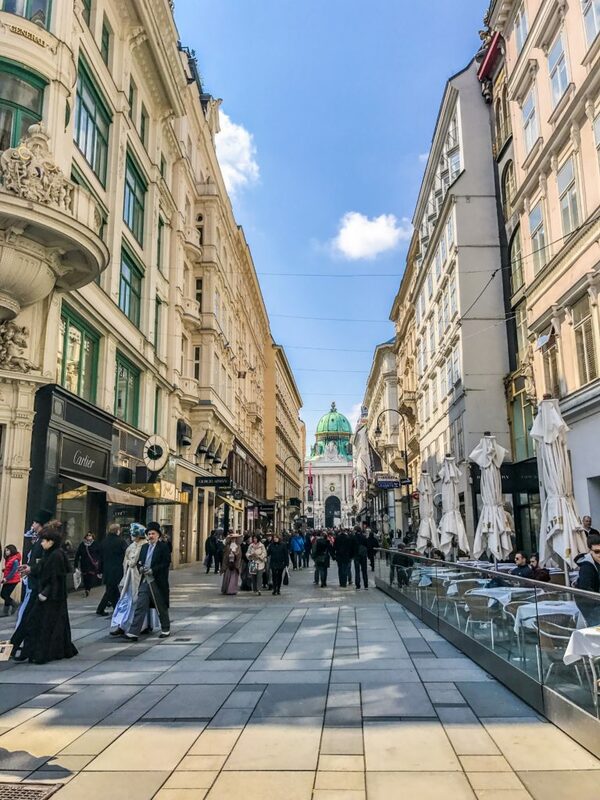 The hotel is centrally located in the heart of the city, within the most exclusive shopping district in Vienna – just a few steps away from the celebrated fashion houses, boutiques, cafes and restaurants of Tuchlauben and Kohlmarkt. 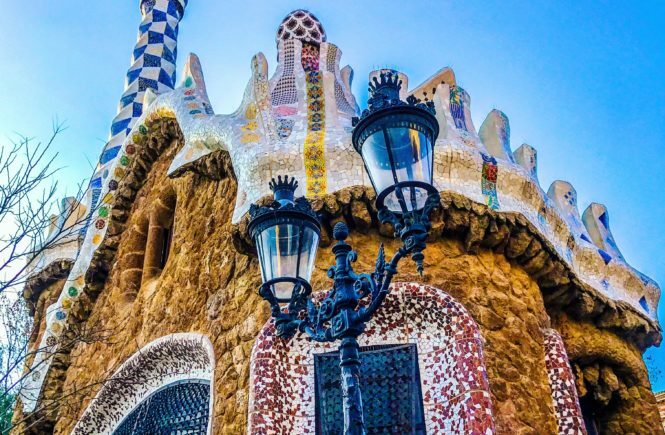 Also, it is possible to walk to almost all of the most significant sights, historic monuments and museums. 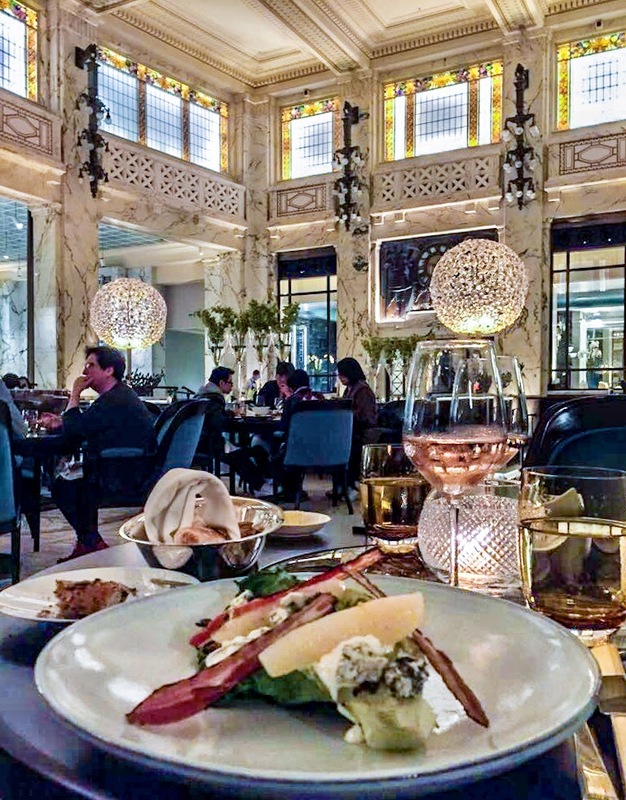 Among the exclusive great restaurants and cafes in the area are the ones located right in the hotel: The Bank Brasserie & Bar, Living Room, Lounge and Cafe am Hof. 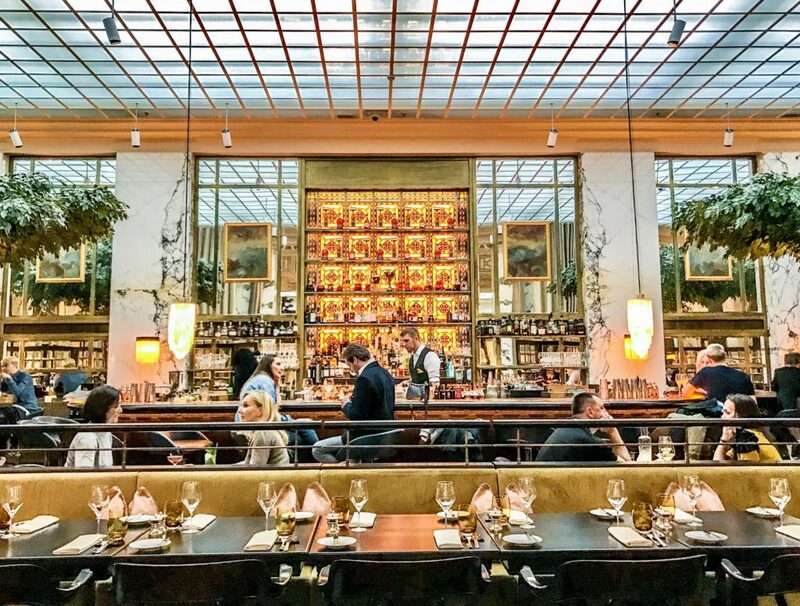 My favorite is Bank Brasserie & Bar, definitely a hotspot in town, not only due to its unusual setting, a former bank with its imposing hight ceilings, but also due to its menu featuring French brasserie style dishes cooked to perfection in an open show kitchen. 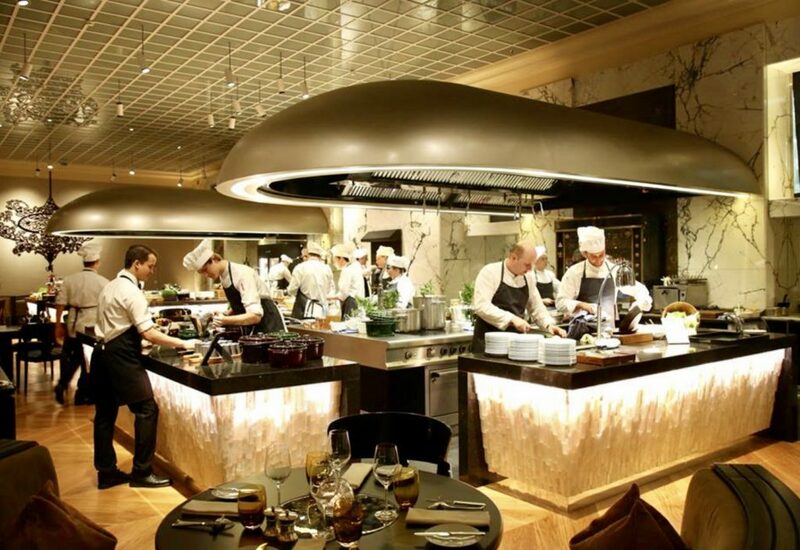 The chef’s table is in between the two open kitchens and a great place to observe the action. A complete buffet breakfast is served in this restaurant and also an amazing brunch on weekends. I simply love it. 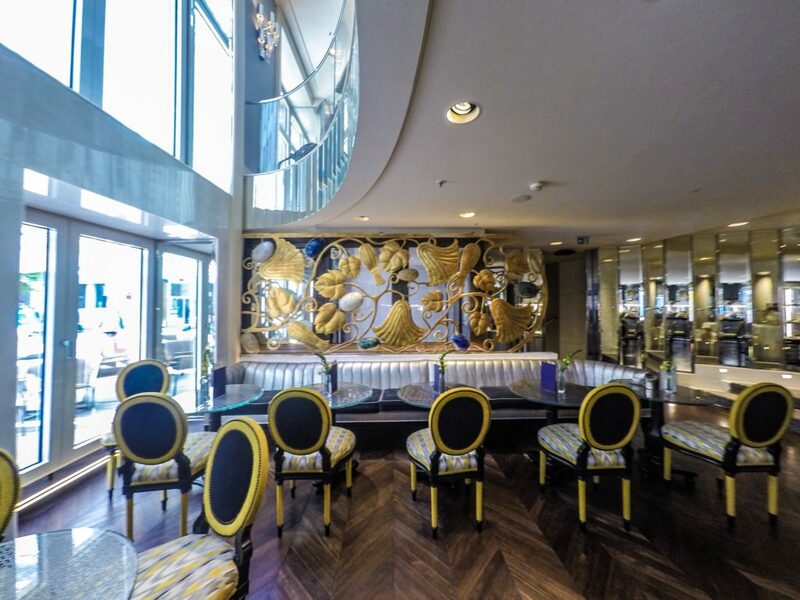 See more and reserve a table here. 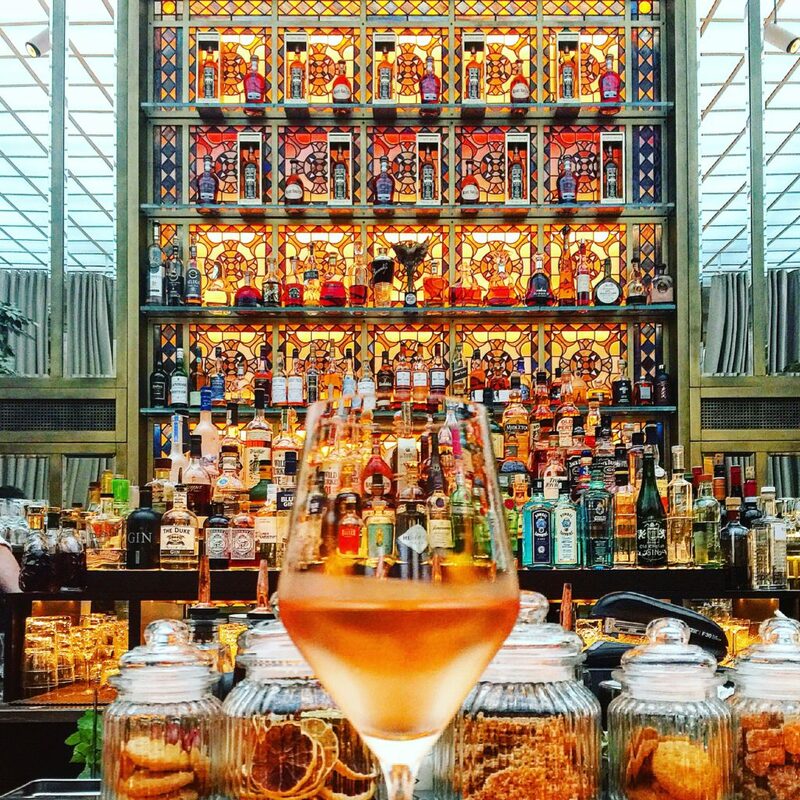 Last but not least, the stunning Bar has an extensive wine list offering prime Austrian as well as international wines (sommelier Robin Keiner will make sure you get exactly what you are looking for) and the most delicious and creative signature cocktails. 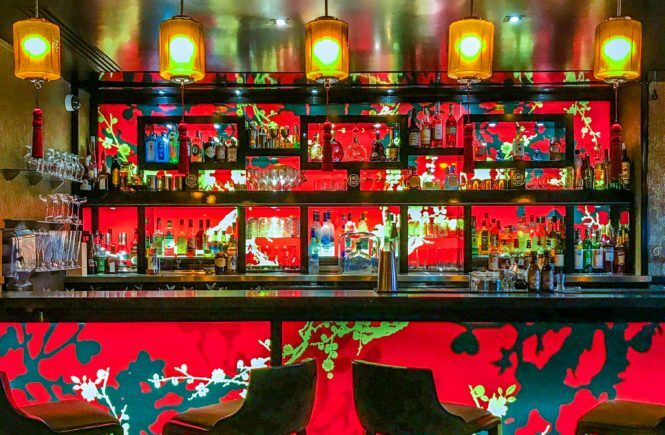 See the tasty cocktails here. 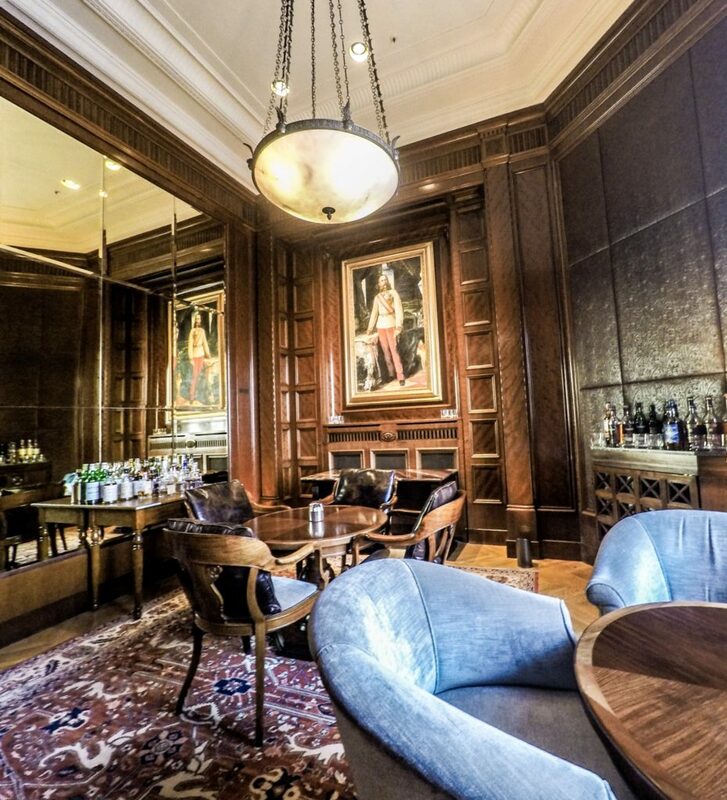 Rum and cigars lovers will find the perfect atmosphere at Living Room, which serves whisky, cognac, the best rums and cigars. I am talking about Havana Club Union and Cohiba Siglo VI, for example. And the room, WOW, so posh and classy, with a view to one of the prettiest squares in Vienna. Feels like back in time. So classy! 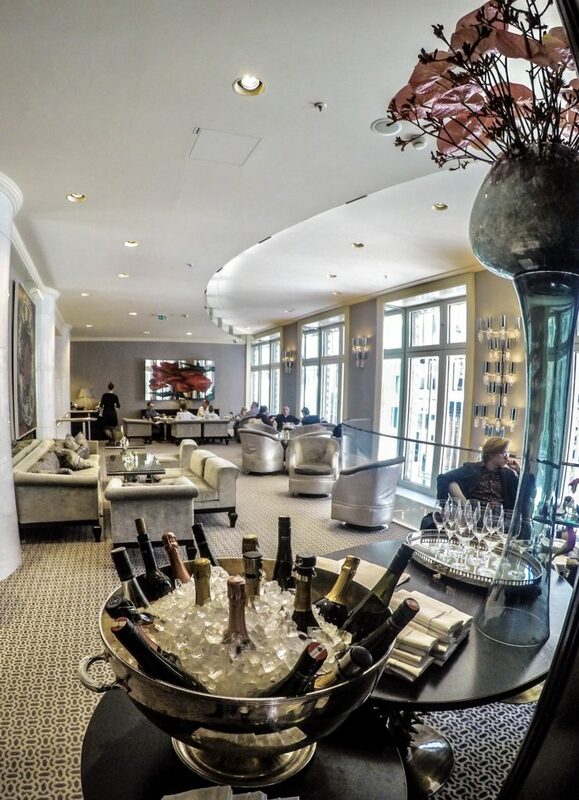 At Lounge you will find the perfect place to relax while drinking a glass of champagne/wine or some coffee, small breakfast and Viennese pastry specialties. The ambient is just pretty and great to relax and chat. Finally, I am a big fan of Cafe Am Hof and its outdoor terrace and vast selection of Viennese coffee specialties, homemade cakes and savoury snacks. The schnitzel is really yummy, and the place quite special inside and outside, where it is great to have a seat and watch people in one of the most exclusive areas of the city. 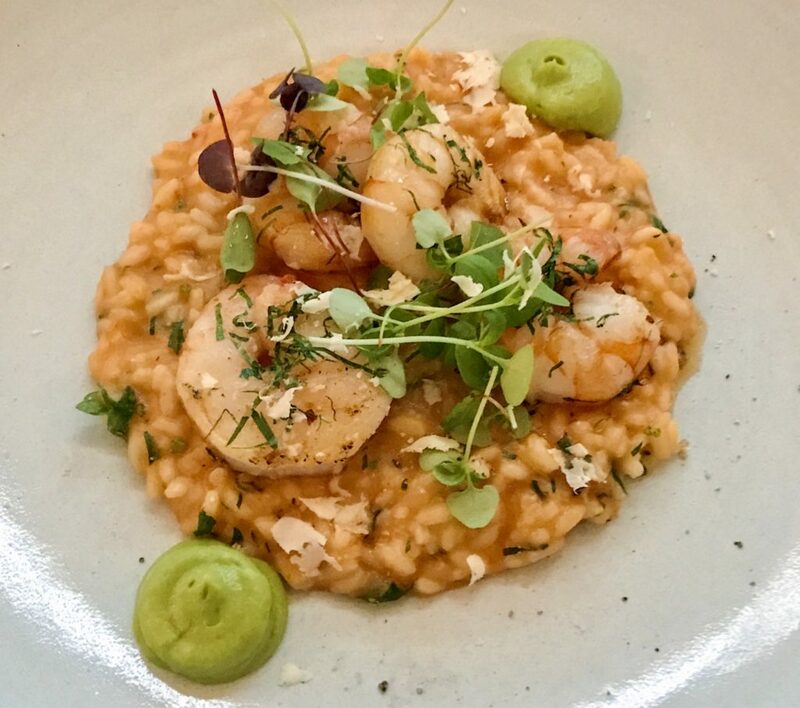 Moreover, if you want to experience other restaurants, cafes and bars, believe me, the concierge will come up with just the right suggestions. 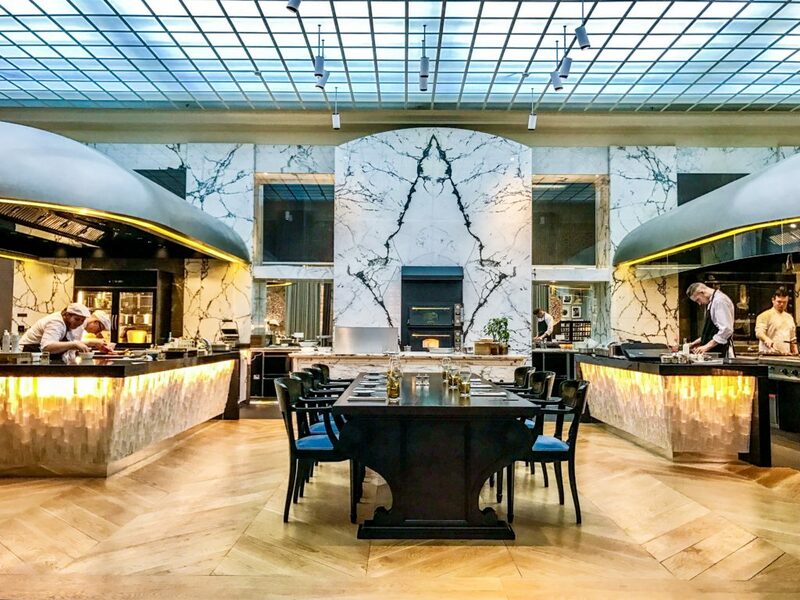 You name it: Asian food, a typically Viennese cafe, Michelin starred restaurants… You ask and they will get you any table. The sort of service that makes a huge difference to your stay. Another eye catcher at this beautiful property are the suites. 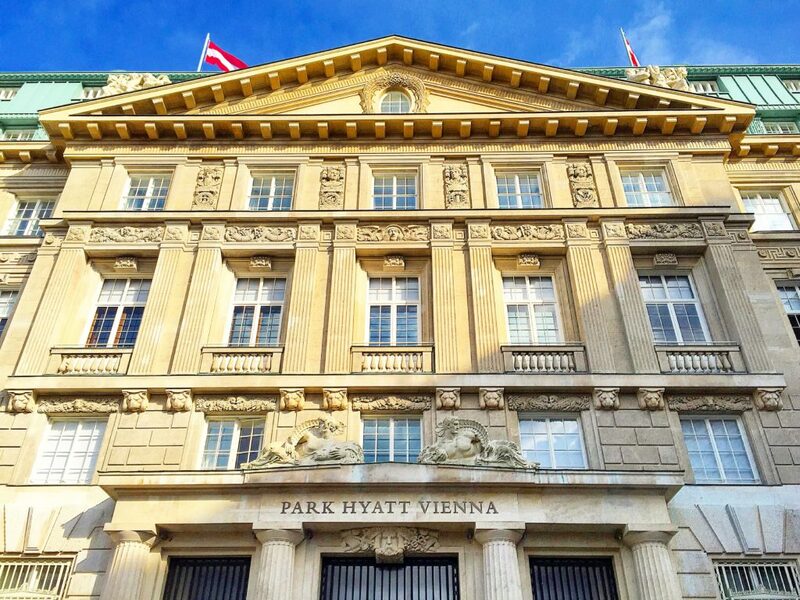 I find it fantastic how Park Hyatt Vienna reflects the intimate and understated elegance of its brand while taking cues and influences from Viennese and cosmopolitan flair. 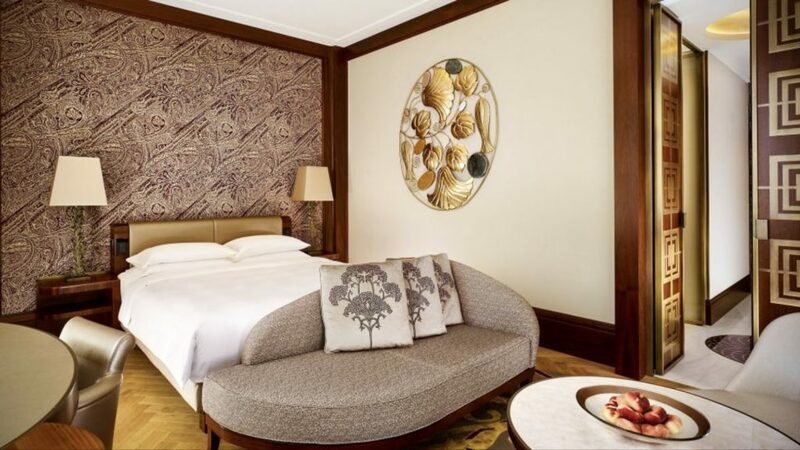 At your suite in the hotel you may find pieces of art perfectly mixed with a totally modern and equipped room. 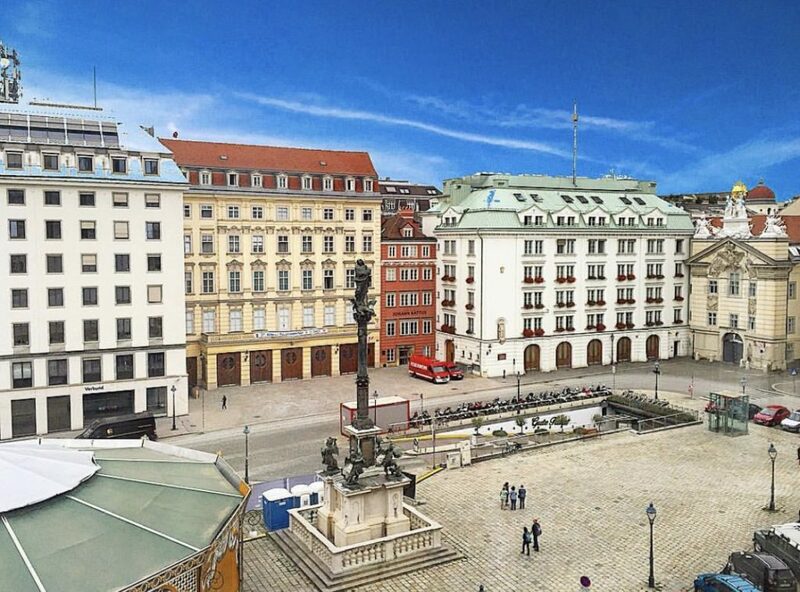 You cannot see it in the picture above but this suite had two huge windows with an amazing view to the old town of Vienna (Am Hof square). It was so bright, allowing for ample amounts of natural daylight and so comfy that I wouldn’t bother to stay in the room for a longer time than I normally do while travelling. Behind the bed there was a desk with envelops, postal cards and everything you would need to work, which I actually did some days, while also enjoying the view. And what a view! The bathroom offers, like the room, lots of space and is all white (love it!!) in marble. There is a double sink, great quality amenities for ten days if you need, a distinctive deep soaking bathtub and a walk-in shower. Keep in mind that when you book directly with the hotel, here, some amenities will be included depending on your room type. These amenities range from airport transfer, early check in and late check out, in-room breakfast to treatments at Arany Spa for two. I always stayed at the sumptuous Park Suite view type and I deeply recommend it. 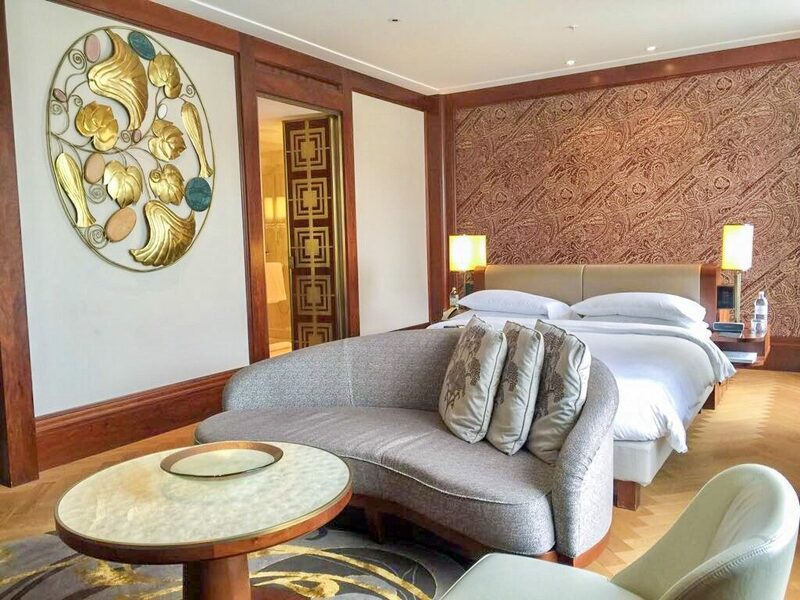 Nevertheless, if you want to go to another level of luxury, some other suites will be available and they are breathtaking. Have a look at the hotel website and discover the Belle Epoque Suite, the Diplomat Suite, the Ambassador Suite and the Presidential Suite. You will get amazed! 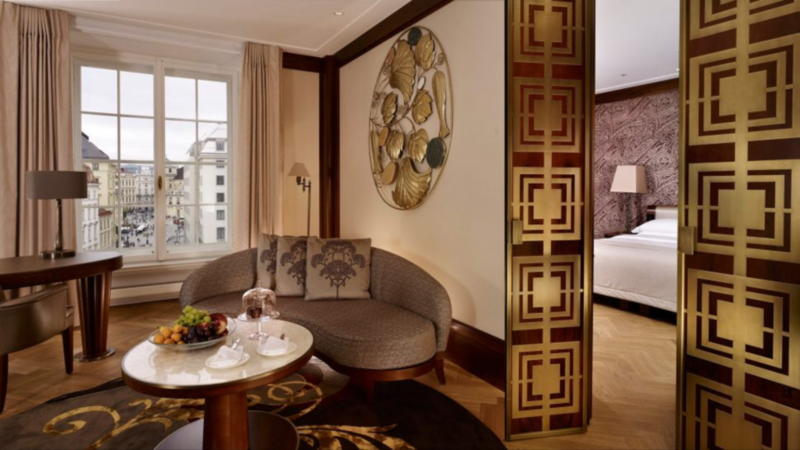 However, there is no “regular room” at Park Hyatt Vienna. Anything you get will please you. Other services and facilities that might be of interest are: 24-hour in-room dining, 24-hour concierge service, business centre, laundry and dry cleaning with same day returning, VIB (very important baby) for families and VID (very important dog) because dogs are totally welcome at the property. 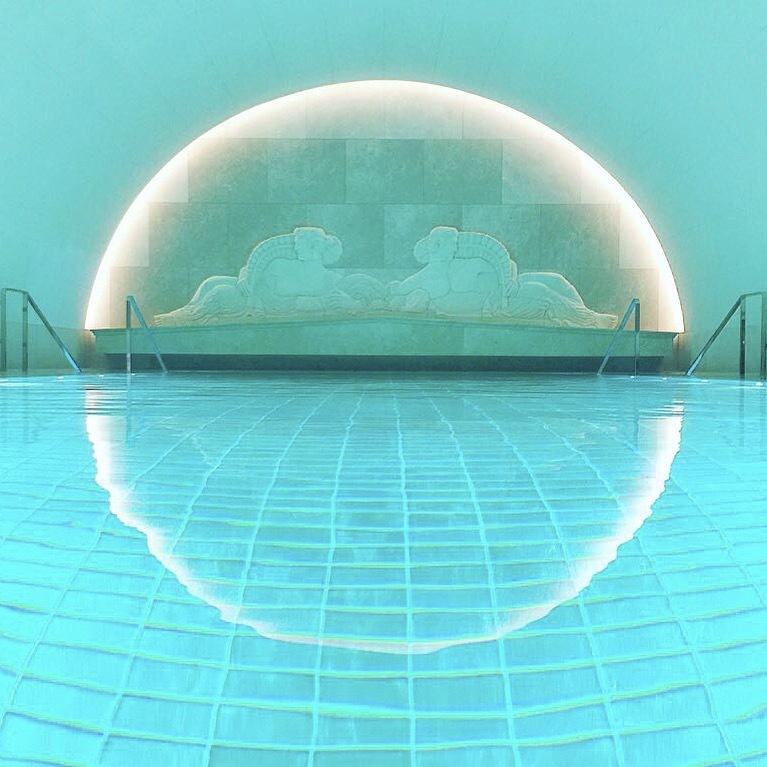 Last but not least, during my stays at Park Hyatt, I was very super mega happy to be able to enjoy the most unique Spa in Vienna. 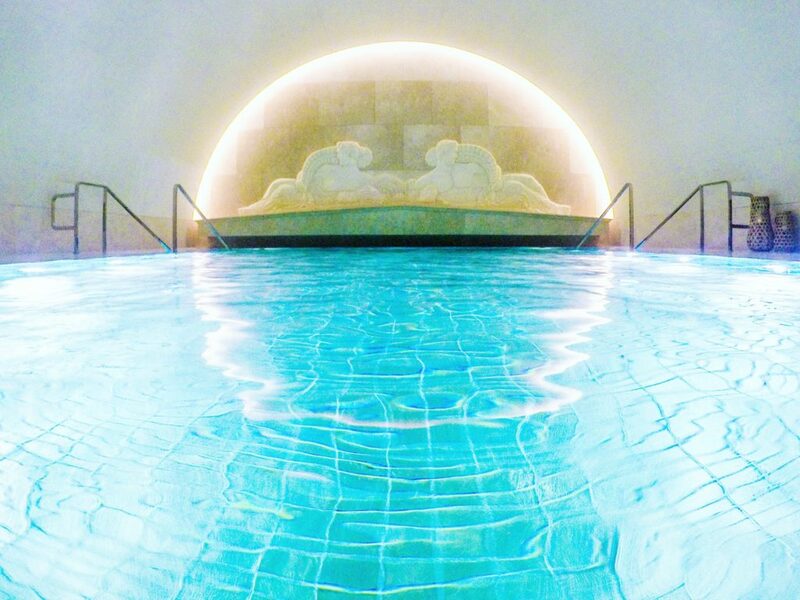 Arany Spa is even hard to explain – you have to experience it! It is not by chance that I chose the swimming pool to illustrate this blog post. I still cannot get used to how special it is. 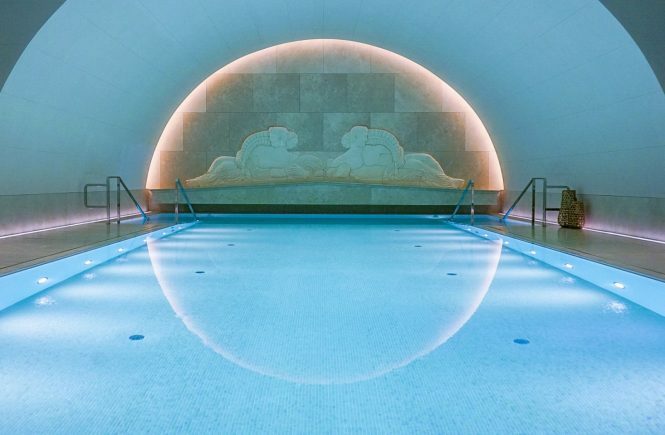 Actually, not only the pool but the Spa as a whole, particularly its atmosphere. By the way, the name Arany derives from the Hungarian word for gold which makes perfect sense, as it is located in a former bank vault (!!!!!!!). 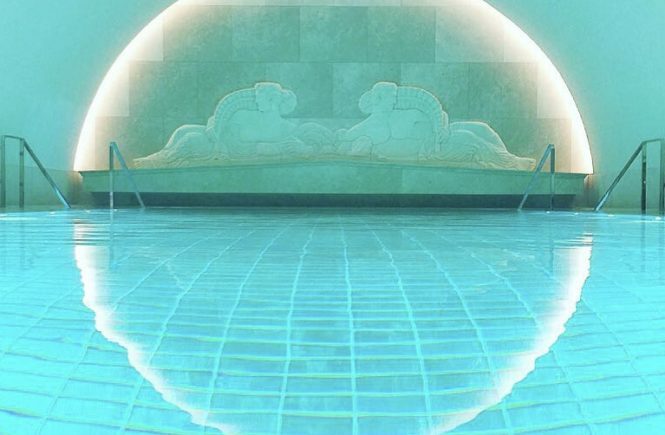 The Spa has been constructed with only high quality material such as gold tiles, precious stones and mother of pearl – attention to the pool tiles in allusion to gold bars! During my stay at the hotel I took my time to enjoy this place every day. It gets never really crowded, and I had it only for myself a couple of times. Apart from this stunning pool (including music playing under water! ), there is also a relaxation room, a separate wet area with sauna, steam bath, sanarium and vitality shower, six spa suites including a couples spa suite and various massages, cosmetic and beauty treatments. Ah! There is also a complete fitness centre and it is possible to work out with a view of this beauty in the picture above. But you guys know me – working out is not really my thing and, therefore, I did not test it, Ops! Do I have to say that I am counting the days to return? Love the architecture and design of this place. So royal. The pool area is just another gem in this hotel. 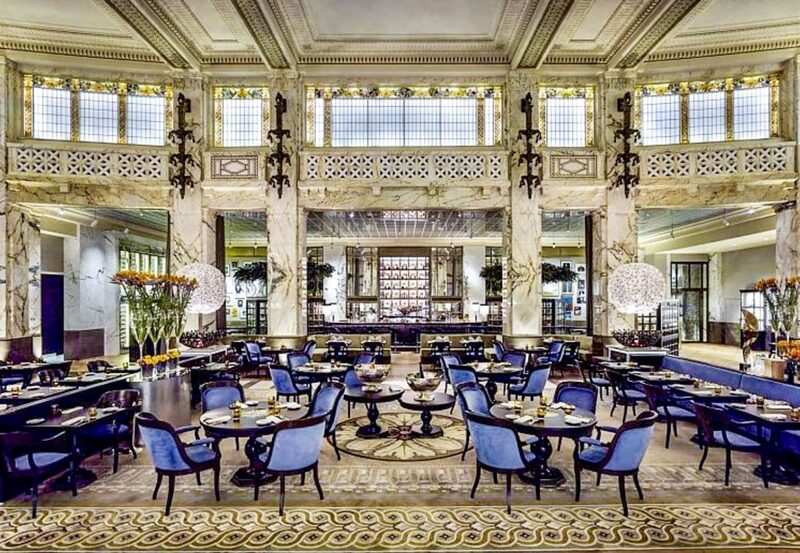 Park Hyatt once again delivers with a great hotel in an amazing location! The rooms look so well designed they make you feel like royalty. Thanks for such an informative post! That’s indeed a luxurious hotel! The best part is ofcourse being at a walkable distance from all the important places! 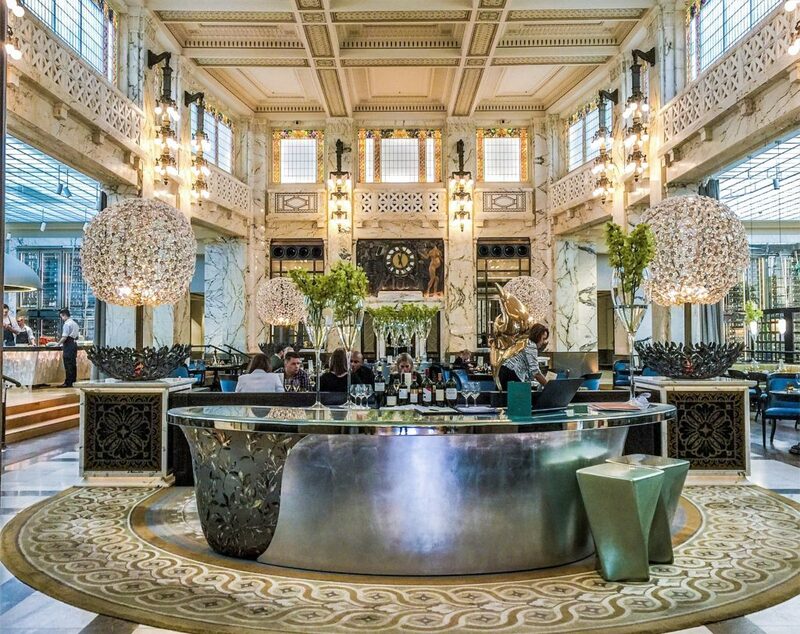 The setting of the brasserie and bar itself looks awesome! Being a wine drinker, the selection of Austrian wines, looks perfect for me! I have been to Vienna several times but I have never been so lucky to stay in such a beautiful hotel. 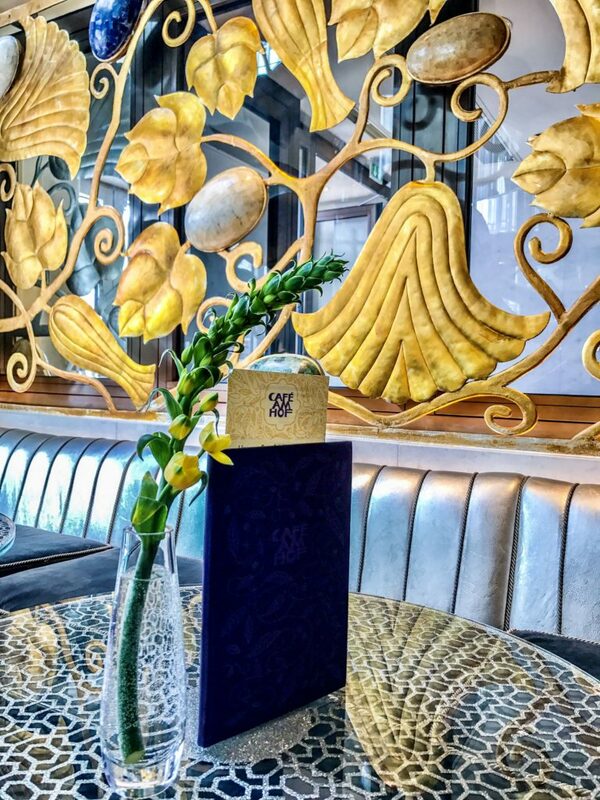 The classic decor is so luxurious and I love the restaurant inside (the chef’s table is really special!). The location is so perfect, right in the middle of the city. 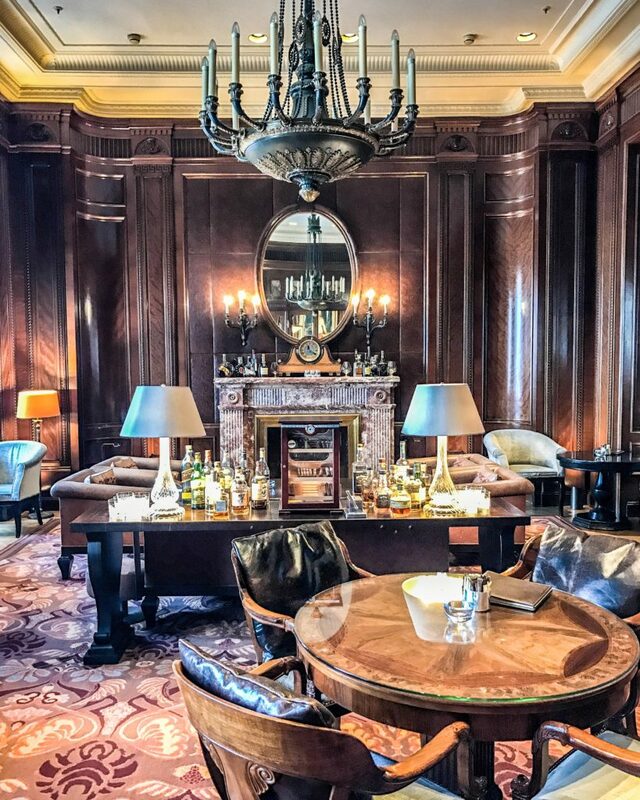 The Park Hyatt is for sure an another name of luxury and comfort. It is at a perfect location. Your pictures and post have already made me fall for the pool, suites, wall art, restaurants, and everything else there. Ooh I’m going to Vienna in September and can’t wait! 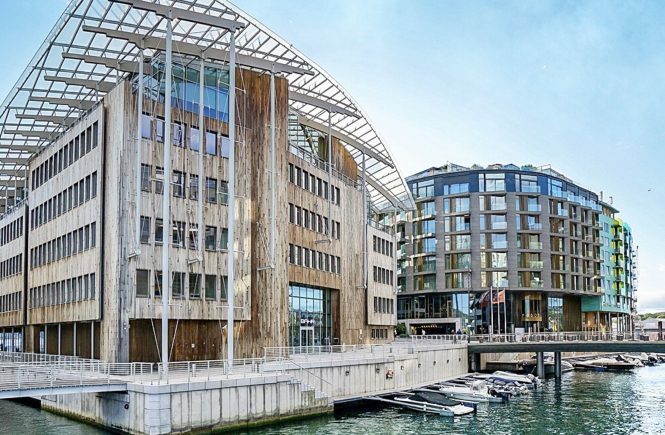 We’ve already booked our accommodation and I have to admit it’s more budget style than The Park Hyatt but it’s good to know a more luxurious option when others ask me for tips on where to stay. Love the architecture and design of this whole place. 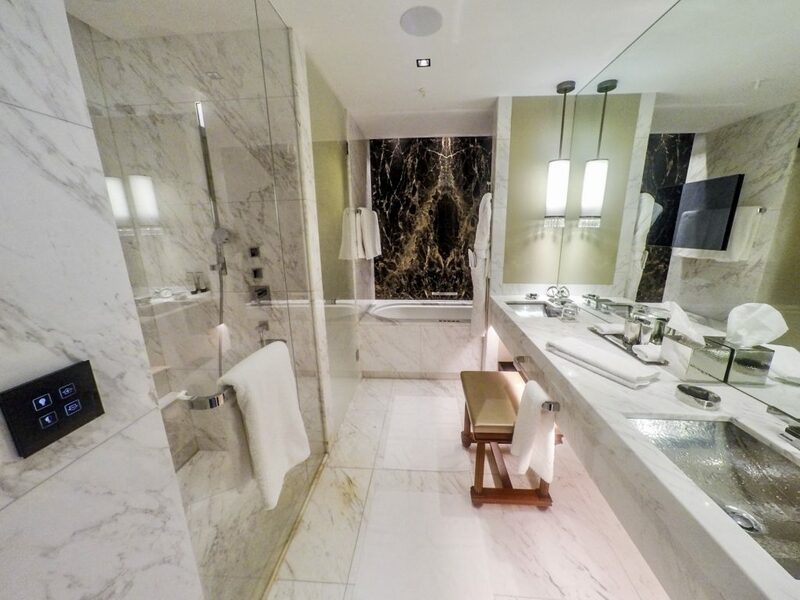 The white, and all marble of the bathroom look so modern. Would love to stay here for a couple of days if I’m ever in the area. 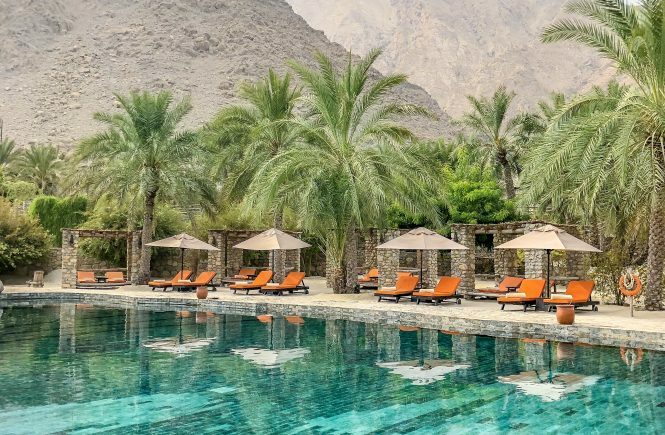 This luxury hotel looks like a perfect getaway! I’d love to stay here and can admire the decor and architecture for hours!